Still every year you forget to put Chapstick on your list! That’s almost more important than comfy shoes. 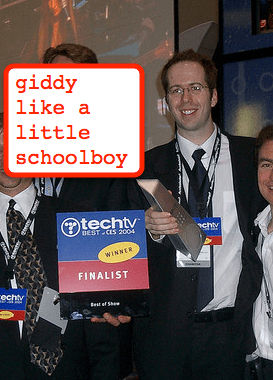 “The Geeks” are skipping CES this year (although KJ’s showing up tomorrow night for the start of #ASW11) – I guess I’m just not that interested in iPad knockoffs, latest round of smartphones and 3D TVs. Maybe I’ll be more intrigued for CES ’12 and see you there.